Online Store with amazing customer service! Harrison Motorsports offers services and repairs using OEM BMW/MINI parts for your BMW and/or MINI Cooper, and the best of aftermarket parts and products. Our knowledgeable and experienced technicians are here to service or improve your "Ultimate Driving Machine." Whether your vehicle is used as a daily driver to work, taking the kids to school, or turning laps at Road Atlanta, Harrison Motorsports takes the same level of care with all the BMWs and MINIs lucky enough to come to our shop. Call us so we can help your BMW or MINI run better and last longer. Appointments recommended. Through careful remapping to the BMW DME, Active Autowerke can increased the horsepower and torque of your BMW 1 Series. Active Autowerke Performance Software can be installed in one visit. Call for an appointment. 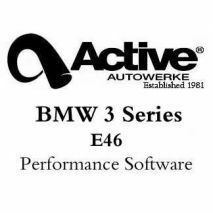 Through careful remapping to the BMW DME, Active Autowerke can increased the horsepower and torque of your BMW. 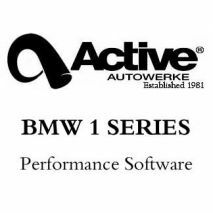 Active Autowerke Performance Software can be installed in one visit. Call for an appointment or for answers to your questions.